Ghumakkar Insights: A Gavaksh to the Ancient Indian Temple Architecture - Ghumakkar - Inspiring travel experiences. While doing study on the temples of Jageshwar for my Kumaon series, I realized, I knew nothing about the ancient Indian temple architecture styles. This ignorance is despite that ancient places of worship always attract me, not only for spirituality but also for their aesthetic appeal. These marvels, in my opinion, are a testimony to our ancestors’ excellence in meticulous planning, accurate geometric designing, knowledge of elegant architectural proportions and their outstanding craftsmanship. Their command over architectural sciences is evident by the fact that these temples (scattered all over the country) remained intact withstanding years (sometimes centuries) of neglect, wear and tear, and sometimes even vandalism, to allow us a glimpse of our rich heritage. The purpose of my study was not to understand the intricacies of structural engineering (which I guess is beyond my capabilities as well)), but to become informed enough to comprehend and appreciate different types of temple architectures, their commonalities and peculiarities. I am writing this article to increase awareness by sharing what I learnt in the process. Construction of a temple was always considered a sacred activity. The timely completion of these Abodes, along with attention to the minutest details, required strict hierarchy of commands. On top of the hierarchy was the person who dreamt of a temple for his isht. He was Yajmana (यजमान)/Karta (कर्ता) or the Patron. Most of the time, Yajmana was a king, a queen or a rich businessman and used to choose the Mukhya Sthapatyapati (मुख्य स्थापत्यपति) or the Chief Architect. Mukhya Sthapatyapati (मुख्य स्थापत्यपति) was expected to be the master of Shilpa Shastra, Vaastu Shastra, Dharma Shastra, Agnipurana and all mathematical calculations. 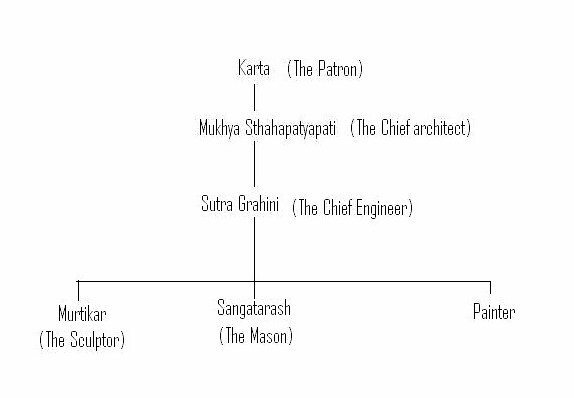 He was the person responsible for converting Karta’s dream into an architectural draft. He was empowered to select his chief engineer, the Sutra Grahini(सूत्र ग्रहिणी), who was responsible for converting the architectural draft into geometrical design and dimensions. In order to avoid confrontations, ego clashes and to work in perfect synchronization, Sutra Grahini was usually the son of Mukhya Sthapatyapati. 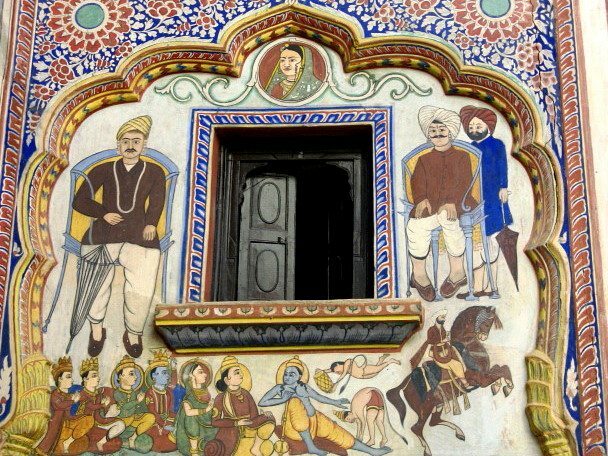 They were assisted in their task by Murtikar मूर्तिकार (the sculptor), Sangatarash संगतराश (the mason) and the painter. These were the senior technical specialists who then commanded many others to get the job done. Those higher in command, besides being knowledgeable, were also expected to be the man of characters and were believed to lead a pious life especially during the construction period. It is not uncommon to hear lores where Karta’s vanity led to obstructions in construction, till he realized his mistake. Two such lores that immediately come to my mind are of Ranakpur temple in Pali district of Rajasthan and that of the temple of Orchha, Madhya Pradesh. The Jain temple of Ranakpur was constructed by Seth Dharna Shah who was a minister in Maharana Kumbha’s court. Maharana Kumbha was a great patron of art, architecture and music. When the minister approached him and sought his permission to build a temple of Adinath Bhagwan, Maharana wholeheartedly agreed and even donated land for the temple and the town. Uniqueness of this temple is 1444 columns, exquisitely carved with none of the two being alike. According to the lore, Maharana Kumbha decided to construct Kirti Stambh in the temple. When it was about to complete, Maharana started to feel that it was going to be the best among all. However, soon it started to collapse again and again for no apparent reason. The recurring incident made Maharana to introspect. He realized that his ego could be the reason behind the strange occurrings. He paid penance and instructed to leave it incomplete as a reminder that egos and prides have no place in God’s Abode. Similarly, in Orchha, Raja Madhukar Shah built grand Chaturbhuj Temple for Lord Rama’s idol that was to be brought from Ayodhya. On its completion, king’s boastful pride for the imposing temple was conspicuous. He sent some people to Ayodhya to bring the idol. When they reached Orchha, it was already dark and the idol was temporarily kept in the modest Puja ghar of the Palace. The plan was to consecrate the statue in Chaturbhuj Temple (मूर्ति स्थापना and प्राण प्रतिष्ठा) next day, at an auspicious time. However, the next day, people realized, it was impossible to budge the statue from its position. God had chosen His Abode. The immobility of the idol shattered the king’s ego and brought him to the righteous path. Today the palace is worshiped as Raja Ram kaa mandir and Chaturbhuj Temple is a ruin. God sometimes follows strange ways to correct and bless its devotees. मेरा मस्तक अपनी चरण धूलि तल में झुका दे! प्रभु! मेरे समस्त अहंकारको आँखों के पानी में डूबा दे! Coming back to the sequence of temple construction, once the hierarchy of command was finalized, it was turn to choose a sacred place for the construction. The important criterion for selection was that the piece of land needs to be free from any vaastu dosh. It preferably should be higher than its surroundings. This is one of the reasons why it is common to see a temple shrine on hill or a hillock. Proximity to a water body was also preferred as it helped devotees to cleanse themselves before entering the temple. Before starting the construction, all tools and implements were worshiped. It was important that all articles used for construction were new and unused. Before commencing further, let me put the various topics’ headings here, for the ease of flow. A square or a rectangular pit was dug in the centre of the selected plot for the foundation. The depth of this pit was one third of the height and its length and breadth were sufficiently broader than the diameter of the proposed temple. The pit was eventually filled with sand and large pieces of stone and then pressed down by elephants to provide strong foundations. A square or a rectangular slab of stone engraved with Ashtadala Padma Chakra (eight-petaled lotus flower with equal geometric proportion) was placed over the foundation. The petals of this flower indicated the directions and were aligned to North, North-East, East, South-East, South, South-West, West and North-West. An imaginary perpendicular line passes through the centre of this flower that determined the axis or meru of the temple. The main idol inside the girbha-griha, or the sanctum-sanctorum, and the temple dhwaja was aligned to this axis. Now, allow me to discuss the temple plan, first the horizontal view and then the vertical view. In horizontal plan, the temple architects took great care in utilizing the rich effects of light and shade to bring intense spiritual experience. The hall at the entrance known as Ardhya Mandap is designed to expose it to sun rays for at least six hours. This hall is followed by another hall, the Maha-Mandap( also called Jagmohan as in Orissan temples) that has moderate light with fewer openings. The final room is the Girbhgrih, the womb housing the deity of the temple and it usually has only one opening with light falling only on the idol. 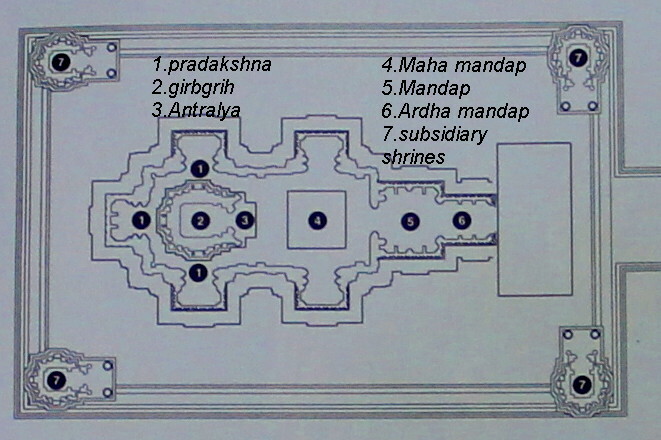 Mahamandap is connected with the Girbhgrih (sanctum)through a vestibule called Antaralya. The circumambulation passage around girbhgrih is known as Pradakshina. However, not all temples have pradakshina; a temple without an ambulatory passage is known as Nirandhara-prasada. Some of the large temples have subsidiary shrines on the four corners of the complex. They are known as Panchayatna or five-shrine temple complex. The temples in horizontal plan represents God in sleeping position with girbhgriha as the mastaka and the gopuram (the gateways of South Indian temple architecture) forming the feet. In vertical view, the ancient temples are conceived as human figure. The temple structure is divided into three broad sections, Bada, Gandi and Mastaka. The various sub-sections of the temples are named after human body parts. It may have something to do with the belief that God lies in us and our body is God’s Abode. a) Bada, the lowest part – The lowest section of a temple is known as Bada. It is the vertical wall section of the temples that encompasses Girbhgraha; it is considered as the portion below waistline in human body. 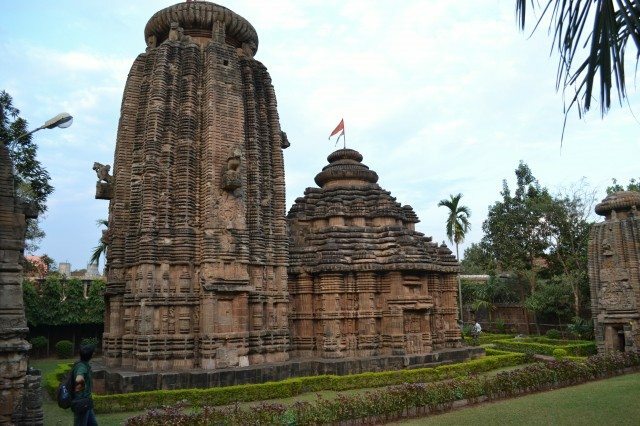 Bada is further sub-divided into pada/pabhaga/pishta (foot) or the platform, Tala-Jangha (lower limbs), Bandhana (knee), Upper-Jangha (the thighs) and Varanda (waistline). Based on number of vertical sub-divisions of Bada portion,temples are further classified as Trianga, Panchanga and Saptanga Bada types . Trianga bada temples are the oldest among the three. The knee portion (Bandhana) is missing in Trianga temples and so there is no separate Tala and Upper Jangha. Panchang bada have five sub sections- as in the above picture- where jangha is divided into two further divisions, separated by a Bandhan. Most of the Orissan temples belong to this category. On the other hand, a Saptanga temple represents highest evolution of medieval Indian temple architecture styles and has seven segmented Bada portion.Here the Jangha portion is divided into three sections, seperated by two bandhans. The temples of Khajuraho belong to this category. b).Gandi, the middle portion – Bada is upped by Gandi, the torso in human body.It is shaped either as a curvilinear tower, called as Rekha deul or is pyramidal shaped, called as Pidha Deul. Gandi usually has receding tiers (potala); each tier is separated from other by a prominently recessed wall called kanti. These kantis have mundis, the miniature shrines, over them at regular interval. In richly decorated temples the mundis are also present in the Bada portion of the temple. According to the shapes, these mundis are further classified as Khakhara, Pidha and Vajra mundi types. c).Mastaka, the uppermost part:The top of a temple is known as Mastaka or the head. 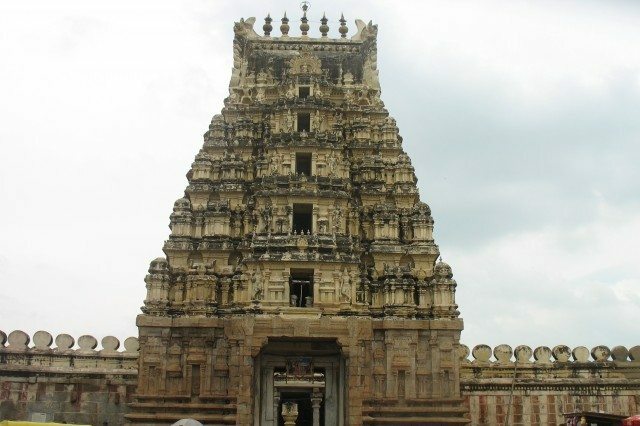 The head segment (mastaka) of the temple is further sub-divided into eight parts, Beki (the neck), Ghantai or Sri (the bell shaped member over Beki), Amla Beki, Amla (as its shape resembles an oblate amla), Khapuri or the skull (the bell shaped member over amla), kalasa (the sacred pot), Ayudha (Sacred weapon or the emblem like Trishula, Chakra) and Dhawaja (the flag), that is tied to the Ayudha. The mastaka portion was constructed with the best variety of stone available. Ayudhs, being delicate and placed on the top, were generally made of ashtdhatu (an alloy of eight metals), though it is not uncommon to find Ayudhs made of stones also. A close look, in chronological order, at the evolution of sacred structures will reveal that The first structures of worship emerged in the form of caves around 2nd century B.C. It started with Buddhist and Jain monks carving their meditation cells (vihara) and meeting places (chaityas) on rocky mountain faces. These cave complexes were usually present at secluded places to provide isolation and quiet surroundings for meditation. There are no evidences of Hindu cave complexes of the early era. It is believed, at that time, yajna and vedic rituals were more popular among the Hindu devotees. There may have been temporary wooden, mud or brick structures, as symbols of piety, which got destroyed with time. However, there are no evidences to suggest that these structures were anything like the classical Hindu temples that followed. 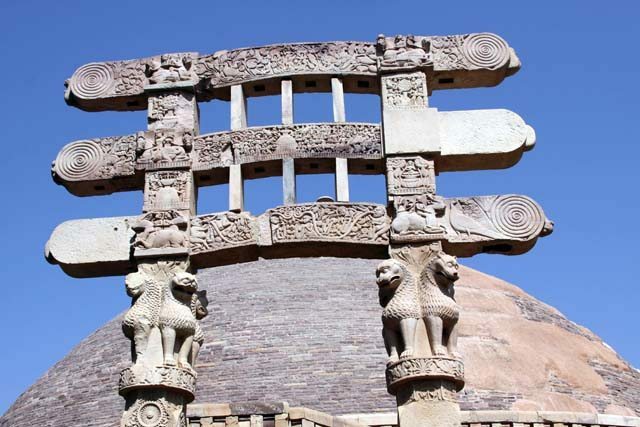 The early experiment of some actual construction with stone started with Buddhist Stupas. In the beginning, Stupas were simply the earthen mound containing the relics of an important person regardless of his religion. However, they soon become the icons of Buddhism. They were sometimes built over the relics of famous Buddhist monks and sometimes over the sacred spots related to Buddha’s life. 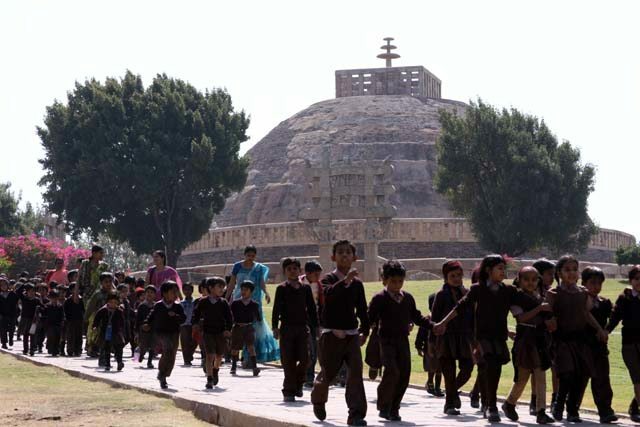 Around 50 B.C someone desired to preserve Sanchi’s small stupa for generations to come. It was enlarged to twice its size and was rebuilt with stones. It was the first experiment with stone and the architect imitated familiar wooden patterns on stone. Still, Stupas were mainly for remembrances and not for meditation or worshipping. Coming back to the cave complexes, the kings and the emperors following different faiths also encouraged and participated in the construction of these complexes. Probably Buddhism, Hinduism, and Jainism were not looked upon as separate religion. They might have been simply considered as different paths to attain nirvana or moksha, the ultimate goal of every religion. As an example, the Buddhist cave complex of Ajanta grew into an extensive monastery under the reign of Hindu Emperor Harishena of Vakataka Empire. The enhancement work on the existing much smaller monastery started in 465 A.D, unfortunately by 500 A.D it came to a standstill. The Emperor Harishena died and his son failed to protect the empire from the attacks of adjacent Asmaka rulers who had no interest in further carrying on with the enhancements. The collapse of Vakataka Empire led hundreds of cave-craftsman, jobless. Some of these craftsman migrated to Bombay region that had Kalachuri dynasty rapidly gaining fame and power. The caves of Elephanta were chiseled from 500 A.D onwards under the Kalachuri Kings, who were ardent followers of Lord Shiva. Thence came into existence the earliest stone monument of Hindus. There was still one remarkable distinction between Hindu caves and the earlier Jain or Buddhist cave complexes. 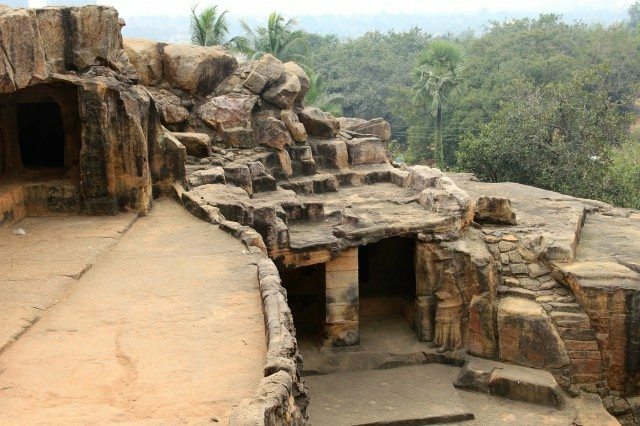 Jain and Buddhist caves were mainly residential complexes for its practicing monks, but the caves of Elephanta (and others to follow) were for worship only and none of them was intended to be residential. In 7th century, AD 670 to AD 720 to be precise, a significant transition from caves to cave temples started in South India under the reign of Pallava dynasty. 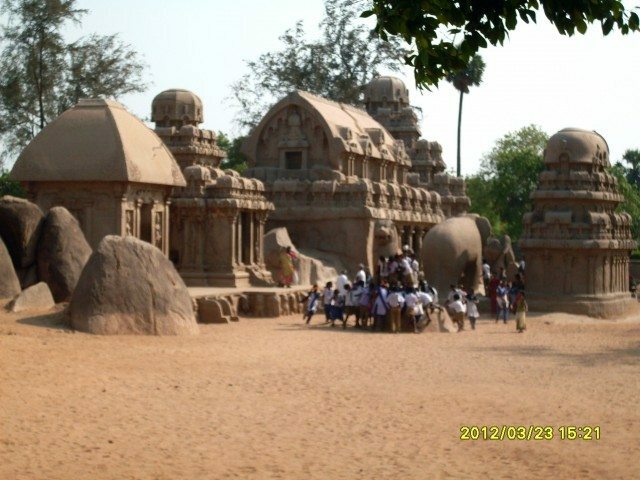 The rock-cut pagodas of Mamallapuram belong to this period. Today the unknown Indian sculptors of these pagodas, surprise everyone by the lace like delicate treatment they have give to the gigantic rocks and converted these expressionless masses into a celebration of construction. By 8th century the basic design of present free standing stone temples was stable. From 9th or 10th century onwards there was a spurt in temple building activity and a race started among several kartas for the construction of grand temples with tallest towers. It was a period of resurgent Hinduism. 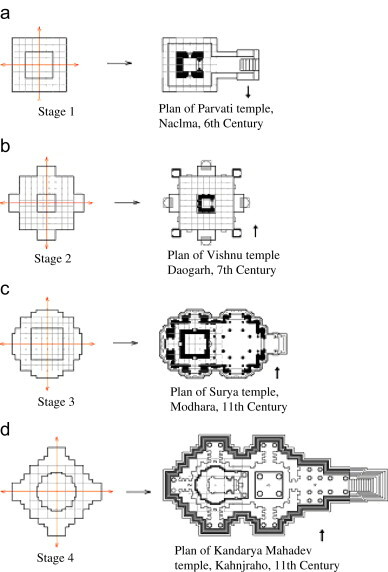 As the construction of free standing stone temples gained momentum, the four main styles of temple architectures Nagara, Dravida, Vesara and Maru-Gurjara emerged. Most of the temples in North India followed Nagara temple architecture. These temples are further sub-divided as Rekha-deul, Pidha Deul and Baitala or Khakhra Deul. 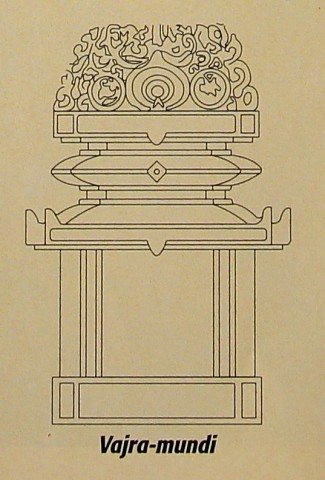 a).Rekha Deuls, the most prominent among Nagara style, are characterized by two distinct features in planning and elevation. In horizontal cross-section, the arrangement is quadrangle. In elevation they resembles a tower gradually inclining inwards forming a convex curve, the projections of the horizontal plan are carried upward to the top of the Shikhara, with its tower finally forming a curvilinear or a bee-hive shaped tower. The architectural design of Rekha Deuls has a strong emphasis on vertical lines in elevation and hence the name. Ekratha Deul: A cuboid temple with no projections. Navrath Deul: A temple with seven projections. The increase in pagas or projections was a result of continuous improvement of centuries. 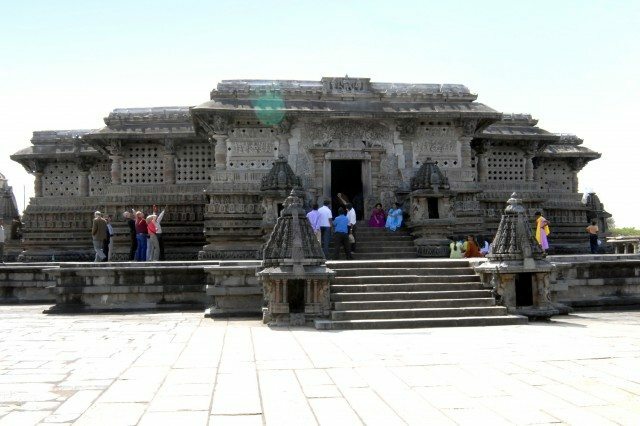 Ekratha temples are the most ancient and have a primitive design while Navratha Deuls are very rare and are example of most evolved temple architecture. Most of the temples fall under the category of Panchratha Deuls or the Saptharatha deuls. The central projection which is most pronounced is known as Raha and the projections on extreme end are known as Kanika Pagas. 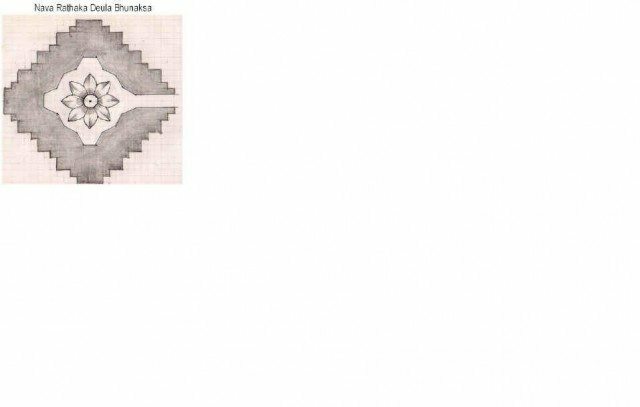 The third projection between Kanika and Raha is known as Anuraha (present in Panchratha and above). The extra projection in Sapta-ratha and above is known as Pariratha and the projection only present in Navratha is Pariraha. Besides these major projections, there are numerous less noticeable offsets and recesses as well. 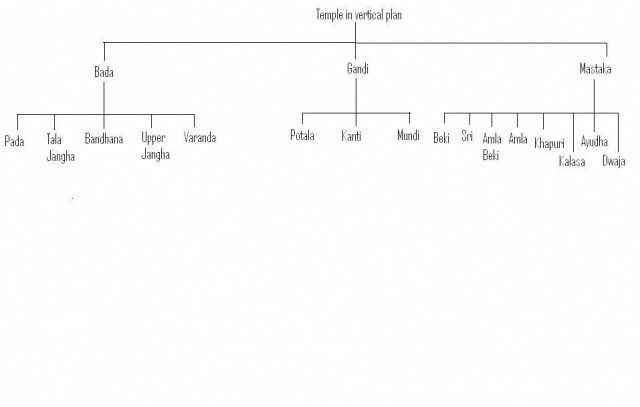 c).Pidha Deul: The gandi portion of these temples has several steps (pidhas) or the horizontal stages. These temples are typically present with Rekha Deuls. Initially Rekha deuls existed in isolation, subsequently as temples started to be used for congregation and other socio-cultural activities thatched rectangular structures were erected to protect the devotees from sun and rain. Progressively, need was felt for permanent portion of the temple that was in continuous need for Bhajans and Kirtans. Soon these structures, that retained their appearance, became an integral part of the temple complex. These associated Pidha deuls are known as the Jagmohan. With time Jagmohans were joined by Natamandap (divine theatre) and BhogMandap (the sacred ladder). 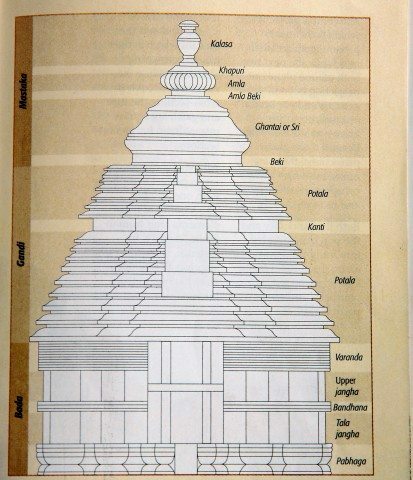 All these categories of temple portion were built in the form of Pidha Deuls. In-fact rekha deuls are conceived as male temple and pidha deul as its female accompaniment. Of course, it also means that with passage of time rekha deuls were considered incomplete without pidha deuls. d).Khakhra or Baitala Deul: Third category of Nagara style temples is known as Baitala or Khakhra temples.These have a unique mastaka portion that appears like a boat (Baitala) or a pumpkin/gourd (aka known as khakhra in Odiya). The mastaka of these temples have three Amlakasila with Khapuri and Kalasa or one Amalakasila at centre and two udyata singha on either side These decorative temples of Nagara style were mainly constructed to worship Goddesses as Devi, Chandi and Chamundi. . This style flourished in Western India, in the regions of Rajasthan and Gujarat. I find it similar to Nagara architectural style with a difference that the central temple was surrounded by many small replicas of itself with cascading shikhars, creating spectacular effect of graded peaks resembling Mt Kailasa or Mountain Meru as described in sacred scriptures. Somnath temple in Gujarat and temple of Ranakpur in Rajasthan belongs to this category. Dravidian temple architecture has its origin during the reign of Pallavs in Kanchipuram. This style was further refined by Cholas, Chalukyas of Badami and Pandyas of Madurai. While Nagara temples have curvilinear towers, the towers of Dravida style temples gave impression of truncated pyramids. These towers have elaborate ornamentation with enormous sculpted images. Till AD 1250, the practice of the architects was to devote their finest craftsmanship to the most sacred part of the temple, the shrine and the tower. There happened a drastic change in this approach with Pandya dynasty establishing their supremacy in South India after defeating the Chola Rulers. These rulers emphasized decorating the outlying portion of the temple scheme as well. There were several reasons for this change in mindset. It is believed that at many South Indian sites of religious antiquity the earlier buildings were not of great artistic taste. However, they held great sanctity because of deep and lasting veneration of enshrined idols. So, when the new and powerful dynasty like the Pandyas wanted to add something of their taste they ended making high walls and entrances to these enclosures into gateways of imposing size and appearances. Also the increase in rituals and the powers ascribed to the deities was also responsible for converting these structures into the palaces of Gods and Goddesses along with the homes of the attending, worshipping and caretaking Brahmins. The enlargement of the southern temple proceeded on following lines: The shrine and its porch formed the innermost court with a small gopuram (gateway) at the entrance. In course of time, this covered court itself was contained into another court with two entrance gopurams. It was further enclosed by rectangular enclosures bounded by high walls. A wide open courtyard known as Parakarm was left all around. Within this Parakarm were added other structures, chiefly pillared halls and subsidiary shrines. There were also buildings of semi-religious characters like granaries and room for storing ceremonial supplies. This enclosure was also entered through two gopurams. After a time, a still higher enclosing wall added, leaving another larger Parakaram around. Within this last enclosure, two important structures were constructed, the hall of Thousand Pillars and a Tank for ceremonial bathing. Four gopurams led into this prakaram and each set was larger than the ones of the previous parakaram. Almost invariably the two lower stories of the gopuram are vertical and are built of solid stones. It provided solid foundation for the super structure of lighter materials such as brick and plaster. The tower section is pyramidal in shape and is composed of a series of diminishing tiers in their ascend. The average angle of slope from the vertical is 25 degrees and width at the top is approximately half of its base. It is possible to divide these gopurams into two classes, one type with straight, firm and rigid sloping sides and another with concave and curved gopurams. The entire surface of these gopurams was covered with a bewildering array of life size figures of Hindu mythology, as an example some of these gopurams have as many as thousand carved figures. This style was adopted in the region that today lies in the modern states of Karnataka and Andhra Pradesh. True to their geographical position as buffer between north and south, this architectural style has mix of both the Nagara and Dravidian temple styles. These temples have Shikhars resembling Nagara temples and the rich carving style is apparently the influence of Dravidian temple architecture style. Vesara is also known as Hoysala architectural style and was promoted by Hoysala Kings who ruled over Mysore area from AD 1050 to AD 1300. The exterior of these temples have flawless riot of intricate carvings. The fine chiseling effect on the walls of these temples appears like an enlarged production of sandalwood work which is still a specialty of Karnataka’s craftsman. The characteristic of Hoysala temples is their pillars. Apparently, several teams of craftsmen were handed over these pillars and they tried to give their best on these pillars producing totally different diversity of work. The pride at stake could be understood by the story of famous Hoysala sculptor Jakkannachari who cut off his right hand when his son pointed out a minor flaw in his work in the temple of Belur. The temples of Somnathpur, Belur and Halebid belong to this architecture style. 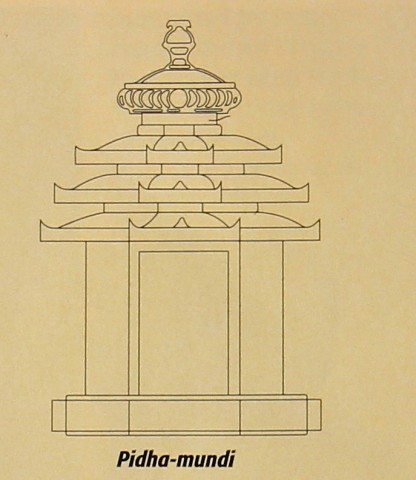 I would like to end my marathon post on temple architectures now. There are plenty of things to read, learn and to write about the temple architecture, so I would not be surprised if profound readers find it incomplete and hurriedly written. I, on my part, consider this as an attempt to initiate the interested readers into the understanding of temple architectures. We will definitely build much-much over it. 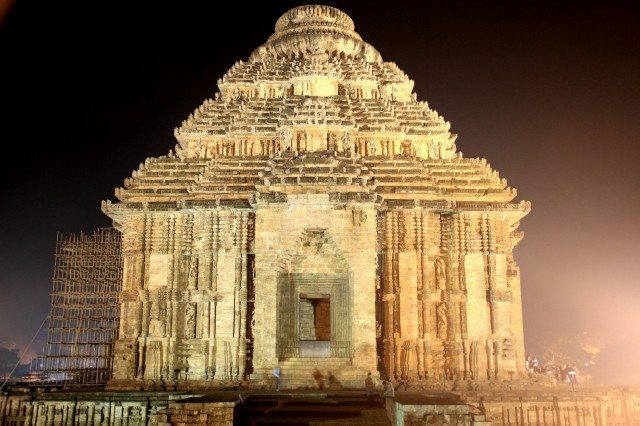 The last line of my article is dedicated to the insurmountable spirit of temple architects and their quest of constructing flawless structures. In the elder days of Art. An IC chip designer by profession, when I travel to a place I want to know almost everything about it - culture, history, politics, local dishes, people, birds etc. As a young boy, I traveled extensively across India with my parents.My job further provided me opportunity to see the world. As I am getting old, the impetus for Ghumakkari is from my kid Rachit who is very fond of traveling. Very nice descripiton. Photos are also so good. You work hard to gather all informaiton. Thanks a lot share with us. I am also thankful for their generous contribution for the same. First of all I would like to say that I am not at all in a position or qualified or have words to comment on this post. This is rich information on temple architecture. After reading your post I came to know that there was too much planning on temple construction. Each and every part and corner of the temple has a reason and meaning attached with it. I took around 40 minutes to read the complete post ( I mean to say I read it with deep concentration) , still I am not able to recollect and remember even small part of it. I will have to read again and again to get some thing my head. It must be something great to understand this and compile it. Manish, You are thoroughly great and must be having super human brains to get all this thing in your multitasking head as a IC chip designer. Your passion and zeal is amazing. Not to say much , but I have become fan of your writings and one day I would like to interview you for myself with my set of questions. Thanks for the generous doze of praise. In-fact knowing about temple architecture was a learning for us as well. This is the ‘print-out’ worthy post, one of the best on Ghumakkar ever. Thanks a lot for sharing this knowledge with us. I’ll call it a research paper because calling it simply a post will not be justified. At prima facie it stunned me, and then I started reading it with paper and pencil. As an engineer as well as temple lover it was a good stuff for me to enhance my knowledge about temple architecture. The nick name “Professor” given to you is really meaningful and suits to you. Hats off to professor. I don’t have much words to appreciate your work, its simply overwhelming. A comment from you is always awaited. The one difference ghumakkar has made in us is that now if we don’t know something we search and try to know more about it. It was same for me and going through the various articles I realized that I hit a treasure box. It was a learning experience for me as well. I am sure with the paper-pen exercise, adding to it the Engineering mindset and spiritual angle, you would definitely get a feel the great heritage and together we would build over it. I can already see several comments adding much more to what I learnt in these days. An erudite post by Professor Khamesra, very insightful and a good introduction to Hindu temple architecture. 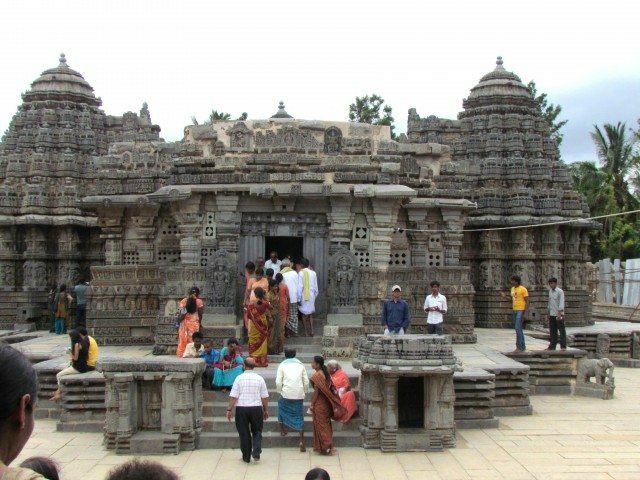 Thank you Manish, for this illuminating article which will go a long way in educating ghumakkars about the finer points of Indian temple architecture. However, to cover all aspects in a single post is just not possible and inevitably, some points get left out.I feel that Agama Shastra (??? ??????? ), which gives very detailed, meticulous and explicit instructions for building a temple should have been mentioned. There are sub-branches of this shastra for Vaishnavite, Shaivaite and Shakta traditions, which again have their own sub-traditions within them. A Hindu temple serves many functions; in addition to religious aspects, it also functions as a community centre, a school and a shelter during natural calamities. Above all, it is a spiritual centre where people come to recharge themselves spiritually. As all engineers are aware, to build an electric generator, all the components have to be carefully designed, manufactured, assembled and operated to generate electricity. Likewise temples have to be carefully built at a specific location around a consecrated idol and rituals conducted in a very specific manner by trained priests in order to radiate the spiritual power to sustain the devotees. Agama shastra is devoted to these specifics. Thanks for adding useful information about Agama Shastra and temple construction in such a logical, scientifically and eloquent manner. To share with you my ignorance, in-fact, whatever little I read, I did not read about it. Every comment of yours is always filled with knowledge for the readers/authors. Professor, you have presented a recommended example of how a ‘Ghumakkar Insights’ should read. A great piece of knowledge which hopefully I would be able to apply on my next visit to a temple. Recently I was at Orccha and happened to be in time for ‘Sound n Light’ show. There seems to be a more elaborate story behind ‘Raja Ram Temple’ but I guess the intent is same. Apart from the intricacies of design and faith, it would be helpful to take a case study of a temple and sort of take a walk-through of it, aka illustrated example. I know the kind of effort which has gone behind this so big thanks to you and Jaishree to pulling this up. The actual story, if I remember, goes that the Queen of the king Madhukar Shah had a dream of Lord Rama suggesting that she can take his idol from Ayodhya to Orchha, but she had to remember that the first place she would keep the idol, Lord would make that place His Abode. The Rani brought the idol from Ayodhya herself. It had to be consecrated in the Chaturbhuj Temple the next day. However the next day when people tried to lift the idol, it did not budge from its place and then Rani remembered about the dream. Well, I took writer’s liberty and added my imagination and logic behind the lore. I felt that the queen forgetting about the warning sounded similar like Kumbhakaran’s sleep of tongue asking for one year of sleep and only one day for remaining awake. It is not easy to leave such a grand constructed temple without idol. I also feel that the whole intention and message behind the episode was that Lord Rama was looking forward more to the love and bhakti of the queen than to be installed in the grand Chaturbhuj temple. I also feel that probably the King also agreed to it as he realized the God’s message. There was a disagreement between me and Jaishree regarding my putting logic in the lore. Being the author I forced my logic in the lore. Thanks for pointing towards the discrepancy and giving me an opportunity to give the explanation. Manish this is something altogether different type of post going by the posts in ghumakkar. It is very educative, informative and interesting. You have worked hard to gather this info and you need a pat on the back for this. Vaastu was perhaps the most important factor in all types of constructions. If there was a vaastu dosha still left, it would affect the temple atmosphere. I have been given to understand, Somnath temple had such a big vaastu dosha and hence was plundered many times. The Meenakshi Temple in Madurai was in fact attacked by Malik Kafur, a general of Alauddin Khilji in the fourteenth century. 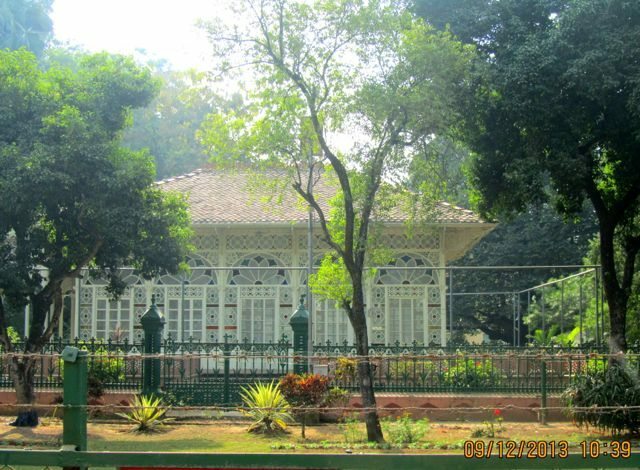 It was rebuilt by the Nayak dynasty some 250 years later. The purpose of Vaastu Shastra is to ensure that spiritual energies are harnessed while constructing a building for the benefit of its residents. If the principles of Vaastu are contravened, it is called a dosha and the worst that can happen is that the residents of a building might suffer from poor health. All the purported material benefits/losses are purely intrapolations and nothing but superstition. Vaastu can never guarantee against damage due to earthquakes or arson and other such events. Regarding the Somnath shrine, when Maharani Ahilyabai Holkar rebuilt it after its destruction by Aurangzeb, she was told that the site of the original temple was inauspicious (had a vaastu dosha) which is why it was destroyed so many times. Hence, she decided to rebuild it at an adjacent site. The same was the case when she rebuilt the Kashi Vishwanath temple. Thanks SS ji for directing your question to the most erudite among us. It is difficult to imagine anyone else taking such a difficult question and answering it with such an ease. Thanks to both of you. Such discussions are very enriching one. Wow, man, you did it again! I can imagine the effort that has gone into it. Splendid! 2. Temples in Kerala with the exception of Sri Padmanabha, does not fall into any of the three categories you mentioned; they seem to be entirely different. 3. The intricate carvings of many of these temples take one’s breath away. The sculptors reserved the best for God. Regarding Gavaksh, you challenged me on something that was once my forte (Hindi), and I found myself nervous, unsure, checking and double-checking. I must say that I have lost the confidence that I once had :-( However, still in my understanding Gavaksh means a Jarokha ( a small window). I think I am not wrong. Could you please also check Patrick? And thanks for your comment. They are always eagerly awaited. great research by a great scholar.professor is the right word.beautiful pics of splendid archaeological gems. Thanks for your ever encouraging sweet words. I agree that we are lucky to have such treasured gems. Thanks for going through the article and leaving your invaluable comments. Actually I am not in town for somedays and hence it might take me some time to reply. My apologies. Manish very well written!!!! Thanks a lot for it!! Its my pleasure that article could give insight and answers to some of your questions. I loved ancient temples, but never thought that I need to know more, while writing the article I realized how ignorant was I. It was a learning for me. Excellent ! This post by itself is a collector’s item. Very well studied and very well written..
Just to add, there is one more style of temples called as ‘Bhumij’ mostly found in Maharashtra. Similar to Maru gurjar style, it has replicas of the shikhar in shikhar itself. Once again, many thanks for sharing this insight. I quickly searched for images of Bhumij temples, but I could not get to see something much different. 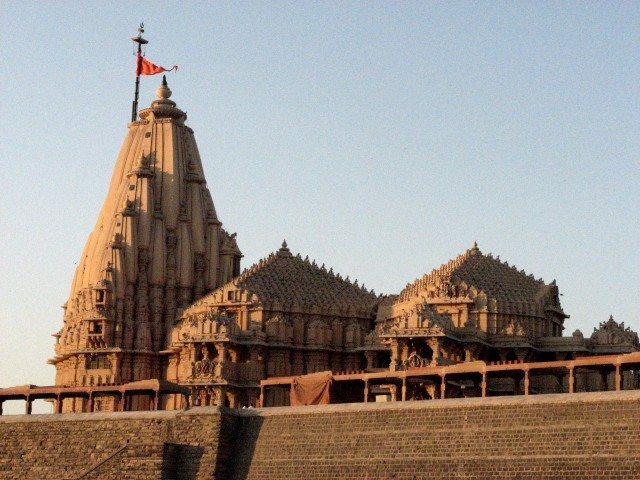 May I request you to please give link to the images of some Bhumij temples, for the readers to have a look and appreciate the diversity in temple architecture. Personally, I felt that even Maru Gurjar style was similar to Nagara. 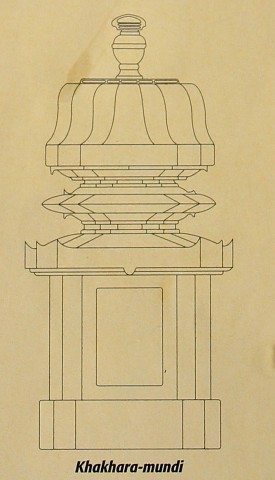 It is true that there are many further sub-classifications in temple architecture as some of these styles carry unique/distinct characteristics. But the two very distinct architecture style were Nagara and Dravidian. Great scholary articles full of knowledge and at same time entertaning. Kudos to Manish ji for contributing wonerful article on Ghumakkar. We do visits temples but missed such details and usually the same apathy is shown by Mandir and goernment organisations. In the west, people are porud of their arhchitecture legacy and history. We missed the same sense of pride while visiting our temples. Thanks for bringing this article. It would be greate help,if you would have provided references for the information. I was planning to reply each comment one by one, however, I felt that probably your comment needs a high priority reply as you inquired about the references. 1. Looking again at Indian Art by Vidya Dehejia, Published by Publications Division Ministry, Govt Of India. I whol heartedly recommend this book. 2. World Heritage Series By ASI on Khajuraho and Konark. Thanks Mayank for your comment. I agree with you that like in West, we should also be aware of these proud legacies, why and what so unique about these temples (heritage buildings). What a beautiful insight! Thank you, Manish for this. I had very little idea about the standard template (pun unintended) in the temple architecture through our two visits to the Khajuraho temples where the guides explained the protocol in brief . And since one gets to see so many temples in Khajuraho, and that too of grand size and spread, it is easier to decipher the format. 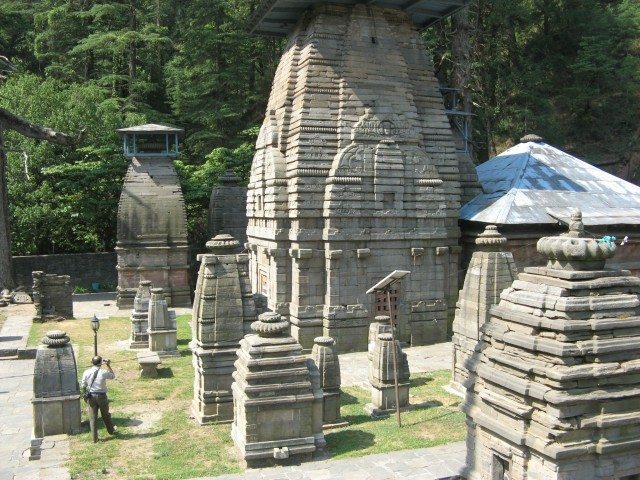 There are so many small temples in the campuses of Jageshwar, Baijnath… do the miniature temples also follow the same diagram? Thanks you Smita for your comment. I think you are right that noticing the template of temple architecture in Khajuraho is much easier than in Jageshwar. The temples of Khajuraho represents ancient temple architecture at its peak, so you can notice and appreciate the different portions of temples in great detail. However, the temples of Jageshwar represents the evolution of the temple architecture. You can understand how this science evolved with time. The post with full of information about that place which we use to see almost every day and don’t know any thing about that. This post is so informative & educative that I have taken print out for my daughter who has a great interest in history. Thanks a lot for this valuable post ! I am so pleased Mahesh that you find the post so informative that you even shared with your daughter. I hope it was the same with her as well. ???????? ???? , ?? ???? ?? ??? ?? ?? ??? ???? ?? ?? ??? ??? ?? ???? ????? ?? ???? ?? ???? ???? ?? ?? ????? ????? ?? ??? ???? ??? ????? ???????? ??? ??? ??? ?? ???????? ?? ?? ???? ?? ????? ??? ????? ?????? ????? ?? ? ???? ?? ?????? ???? ?? ??? ?? ??? ??? ?? ??? ???? ???? ???? ??? ???? ? ?????? ???? ?? ????? ???? ?????? ??? ?? ?? ?????? ?? ?????? ?? ????? ???? ?? ?? ?? ?? ???? ?? ???? ?? ?? ????? ???????? ??? ??? ?? The temples in Himachal and Uttranchal represents the initial tri-ratha architecture style, while temples of Konark are examples of highly evolved Sapta-ratha style. Compliments for the magnificent and erudite post. It is interesting, well researched and extremely relevant – such post coming from someone who is not an architect, well it is praiseworthy. Son being sutra-Grahani, I felt confused till realising that it is ?????? (from ????? ????) rather than ?????? (as in housewife) – as so correctly spelled in the hierarchy chart. Many terms used in such architectures are something we have often heard but never dwelt on. The post here has given a valuable perspective and will certainly improve the way we look at temples hereon. ???? ???? ???? ???? ??? ?? (,) ????? ??? ????? ???? ?????? ?????? ?? ???? ????? ?????? ??? ?????? ?????? ???? ??? ?????? ?????? ???? ????? (????? ???? ??? ???? ??? ????? ?? ???? ??? ????? )……….and so on. A google/youtube search for ‘amar matha nato kore dao’ will get you the vocal rendition. Thanks again for making us more informed Ghumakkar. Thank you Auro for recognizing my limitations (of not being an architect). In the beginning it was difficult to understand for me, however, now I can understand some basic terminologies. Reading in detail about it helped me as well, I am now in a position to understand some basic and commonly used terminologies. Thanks for sharing the original lyrics of Gurudev’s poem, I loved reading it in Bengali and would surely listen to its vocal rendition on You tube. Thanks for suggesting the same. Thanks Amitava for the praise/comment. Jaishree tried to simplify the architectural terminologies in my article, to make it easier to understand, but I know it takes time. Oh my God! There is so much to learn and so short a life ! But God Ji, who happened to spread text books all around us for study, also gave us highly knowledgeable professors like Manish and DL to help us in our study. What a foresight He has ! Since I can’t understand these things with my little brain, I have shared it with a friend who claims to be an authority on such topics. I am dying to see the worried, nervous expression on his face. Great work, as everyone else has rightly said. Please keep blessing us with similar material to study. Please don’t compare me with DL, who is a mobile encyclopedia :-) What can be a better proof of it that even on this story SS asked a question and expecting blank stares from me, rightly directed it to DL :-) Its good to be in company/mentoring of such people, after all we all would like to grow for ever, to learn more and to share more. Please encourage your friend to add anything that I missed out (after all its such a vast subject that my knowledge on it is not more than a drop in ocean). Thanks again, always looking for your blessings. A small fan of your great works and write ups waiting here in ghumakkar.com . If you write about anything else and anywhere else please let me know. Nandan I hope you have read this and take some steps to proceed further on this. Recently we have been to Ellora. We were late for the Ajanta caves, and the driver was suggesting to take us to Grishneshwar temple and I was smiling that because of your writing on that part of India, this name does not sound new to me. Thanks for the comment, you know that writing in itself is a great pleasure and getting such lovely comments is icing on the cake. Professor Manish Khamesra sahib jee,, with great interest I read your richly researched beautiful paper, �A Gavaksh to the Ancient Indian Temple Architecture � ,though I refrain from commenting on it as I am not a historian but an Engineer by profession , & my interest in �history �� (after super annutation from an oil/gas exploration industry ) made me to take interest as �Pastime �into by-gone era history pages ,with specific adoration on evolution of “Maru Gurjara-Partihara temple architecture after the fall of Gupta empire, ie; last days of Vakataka dynasty work at the Ajanta caves and rise of feudatory vassal to Gupta empire of Thanesar (Kurushetra )king Harsha Vardhana Harshvardan . empire . Kind courtesy from study material available on Wikipedia . Your article on will further assist me in finalizing /completing a historical background �in a seamless story novel format� by recreating an aura of bygone era in the knowledge of evolution of the Hindu temple architecture, from mountain cave niches to stone slabs enclosures of Sharda temples to Devgarh Maru-Gurjara-Parthian Nagara style, from a breed of internet browsing maverick � bohemian( ghumakkars). Aapne to mere naam ke aage itne adjectives add ker diye hain ki yakeen hi ho raha ki koi mere baarein mein baat ker raha hai. Aapke sneh ke lye shukriya. Dost Mahesh Semwal ne mujhe Professor nick name de ker aasman per pahuncha diya, but I am an ordinary traveller like all in this wonder community of ghumakkars. I am happy to know that you are working on a story novel format that explains about this architecture to the readers and in your work this article is be of some help. I wish that you complete the same soon and please do share the name of the book. Knowing and interacting with erudite readers is a pleasure in itself and here I am interacting with a budding author with such a diverse background and interest. I am currently doing a project about ancient Indian architecture. I read through your article and liked it a lot. My project focuses on how the science and the architecture methods that were used in these temple, can be implemented in modern architecture so that it can also last for a longer period of time and withstand cyclones and hurricanes and other natural disasters. 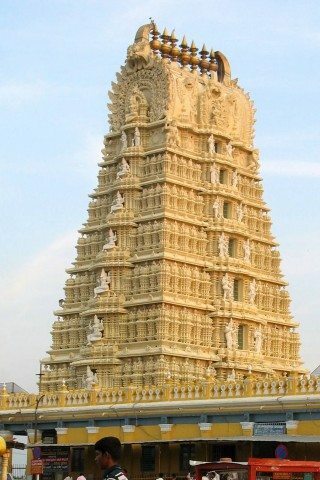 Can you suggest some of the main methods that were used in the temple architecture and how they can be implemented in the modern architecture? You help will be much appreciated. And I am pleased to read about your project and the area of interest. However, I have not really looked into the kind of details you are pursuing. Sorry for that. Thanks for a very interesting and detailed post on “Hindu” temples. Clearly the “Lions” were and are lying about not only the age of that great temple, but the 3 toed ‘Lions Paws’ at the base, which are clearly DRAGONS PAWS! lol! They then took our spirituality and broke into the colors of the rainbow, before released them over time. See http://www.Dragonspaw.blogspot.com for some fairly decent proofs. Hello Manish, I read this post after it was recommended by Nandan and how lucky I am feeling right now to have read it. The way you have narrated it seems like a lesson about India temple and architecture straight from a book. Very informative and I can see you have tried to make it as simple as possible for reader to understand the complexities of the great Indian architecture and history. A beautiful piece of writing. Somehow I am not getting the comments to my E-mail box and hence the delay in my response (Nandan can you please check, is my E-mail id not updated). In-fact it was a chance that I happened to read the comment. As I saw little children studying beneath the trees I kept comparing it with the classes held in our city schools with air-conditioners and state-of-the-art technology. How claustrophobic the city children must be feeling, I wondered. For once, I imagined myself to be a child, sitting with those little kids beneath the shadowy mango trees reading Tagore’s verses or perhaps solving sums even. We also visited the various schools inside the campus like ‘Patha Bhavan, China Bhavan, Hindi Bhavan’ where various subjects are taught in foreign languages as well. With alumni list including Nobel laureate Amartya Sen and Satyajit Ray, nothing more is required to be said about this world class university. On our way back to hotel we took a glimpse of the prayer house.